Judicial Portraits: Judge John B. Sanborn, Jr. The Honorable John B. Sanborn, Jr., came from a distinguished Minnesota lineage. His father, General John B. Sanborn, was one of the State’s most distinguished soldiers in the Civil War, and his mother, Rachel Rice, was the daughter of Edmund Rice, an early Minnesota statesman who has been referred to as “the father of the Minnesota railroad system.” Edmund’s brother was the great Henry Rice—famous pioneer, Indian Commissioner, and U.S. Senator whose effigy was placed in Statuary Hall in the nation’s capitol. Judge Sanborn was born in St. Paul on November 9, 1883. He attended Franklin Grade School and eventually graduated from the old Central High School in 1901. He was an excellent student, earned athletic honors on the track team, and had a life‑long love of hunting, fishing, and the outdoors. Following high school, John Sanborn attended the University of Minnesota where he distinguished himself as a “brilliant scholar.” Following his graduation from the University of Minnesota in 1905, John Sanborn chose to attend law school at the fledgling St. Paul College of Law. Once again, he was an exceptional student, and was admitted to the bar in 1906—which was actually a few months before he graduated as the top student in his law school class. In the half century that followed, Judge Sanborn was instrumental in the development and success of the St. Paul College of Law. He would serve the school for decades as a trustee, officer and key advisor. His vision and leadership were particularly vital in the school’s ultimate merger with the Minneapolis College of Law and the other local law schools that formed William Mitchell College of Law. Judge Sanborn entered private practice in St. Paul, eventually joining the prominent St. Paul law firm of Butler & Mitchell—a firm that included Pierce Butler (future Associate Justice of the U.S. Supreme Court) and William Mitchell (the son of the great Minnesota Supreme Court Justice, and himself a future United States Solicitor General and United States Attorney General). John B. Sanborn, Jr. had the distinction of serving in all three branches of Minnesota government. Judge George MacKinnon later said that Judge Sanborn’s broad experience and service in the three branches of Minnesota state government made him “perfectly suited” for his duties on the federal bench. In November of 1912, he was elected to the Minnesota House of Representatives where he served two terms and was instrumental in managing the passage of an early worker’s compensation bill. He was then appointed to serve as Minnesota’s insurance commissioner in 1917 and, later, in 1920, was appointed to the Minnesota Tax Commission. 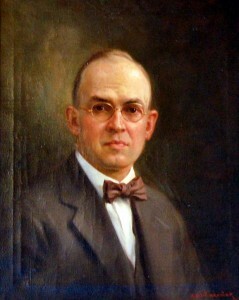 In 1922, Governor Preus appointed John B. Sanborn, Jr. to the Ramsey County District Court. Judge Sanborn’s appointment was well received by all concerned, and he soon gained a reputation as “one of the outstanding figures in the judiciary of Minnesota.” He was described as “a clear thinker, a sound reasoner, of a naturally judicial temperament, able and absolutely fearless in the discharge of his duties and [with] the knack, which is rare among judges, of expediting business and eliminating non essentials.” He was also referred to as a “most human judge” who was known for his kindness, consideration, and courtesy. During his tenure on the state court bench, Judge Sanborn gained a reputation for being tough on crime. He believed that individuals convicted of crimes should be dealt with firmly and in accordance with the penalties prescribed by the Minnesota Legislature. This was particularly true with respect to violators of the liquor laws. On the state bench (as would also be the case when he went on to the federal district court), prohibition cases made up the majority of his criminal docket. A large segment of the population did not take these laws seriously. While Judge Sanborn personally felt that these liquor laws were foolish, he refused to drink any liquor throughout prohibition because he had sworn to uphold and enforce these laws—and that is exactly what he did—and he had no tolerance for those who showed disregard to the liquor laws (or any other laws). Judge Sanborn served on the Ramsey County District Court for three years. In 1925, he was appointed to the U.S. District Court for the District of Minnesota, where he served with great distinction. In 1931, he was appointed to the U.S. Court of Appeals for the Eighth Circuit, which is the same court that his cousin, Walter H. Sanborn, also of St. Paul, had served from 1891 to 1928. Judge John B. Sanborn, Jr., served on the Eighth Circuit until the time of his death in 1964. Judge Sanborn’s first law clerk on the Eighth Circuit, and his hand-picked successor when he took senior status in 1959, was none other than St. Paul’s own Harry A. Blackmun. It was said that Judge Sanborn was never reversed while he was a judge on the state district court. This is technically true. Of the 32 reported occasions in which his decisions were reviewed by the Minnesota Supreme Court, there were only two reversals—but those reversals were not filed until after his appointment to the federal district court. A special thanks goes to Thomas H. Boyd, shareholder, Winthtrop & Weinstine, P.A., for providing this biography. Mr. Boyd is also a board member of the Minnesota Supreme Court Historical Society and the Ramsey County Law Library Board of Trustees. The Law Library has on display judicial portraits of past Second Judicial District Court judges, going back to 1857. If you have any information or commentary about Judge Sanborn Jr., please leave a response or send us an e-mail. To view the portraits in person, visit us on the 18th floor of the Ramsey County Courthouse.